The Three Wine Men are visiting York and hosting their huge tasting event for the first time in September at Dean’s Park, York Minster. “The Three Wine Men comprises the three most media-friendly, high-profile wine experts in the UK: Oz Clarke, Tim Atkin MW and Olly Smith. The events are great fun and provide an educational wine experience alongside the buzz of trying hundreds of wines (and a bit of cheese too). The tone is driven by the attitude of the Three Wine Men – unpretentious, no-nonsense and genuinely about the love of wine. Tickets are available for £25 and extra Masterclass tickets are £5. Kate McFruin who is organising the event says “for every member of the YMSWC who purchases 4 tickets the 5th one is free” then all you then need to do once you have purchased your 4 tickets is drop her a quick email from the address you used for booking simply stating ‘York Med Society Wine tasting ticket offer’ along with your surname, and she will add on the 5th ticket and send you a confirmation email. The event is running on Friday 26th September from 5.30-8 and Saturday 27th September from 11-3 and 4-7. 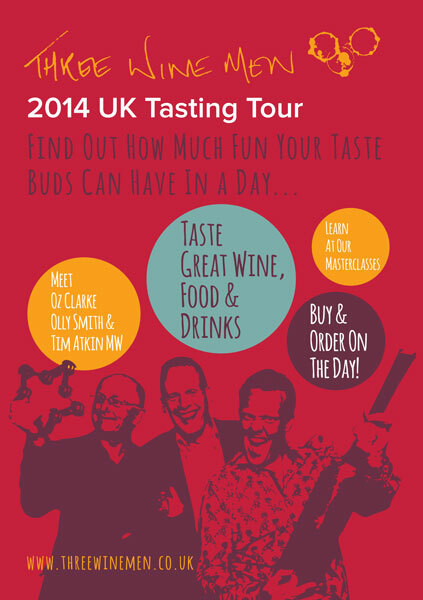 Don’t forget our great Summer Tasting!